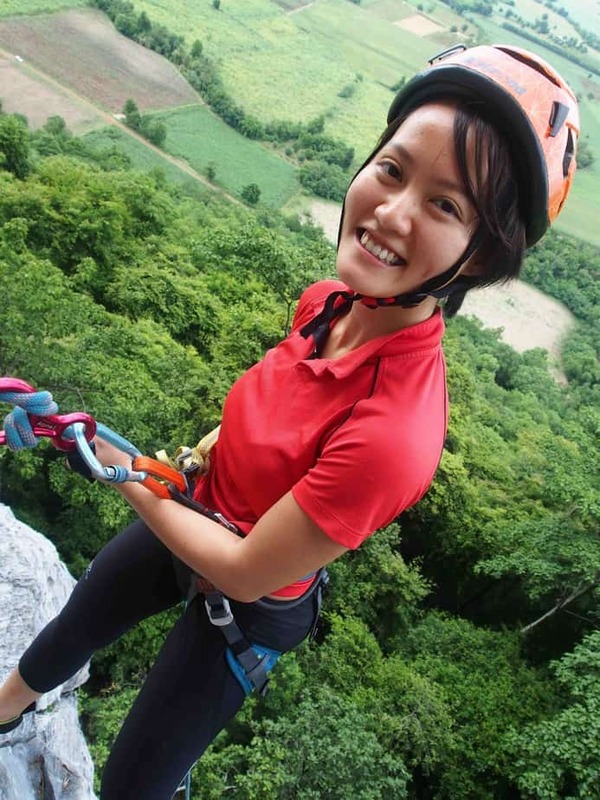 Have you always been climbing in indoor gyms and would like to bring your climbing experience to another level by trying natural rock top-rope climbing and abseiling? 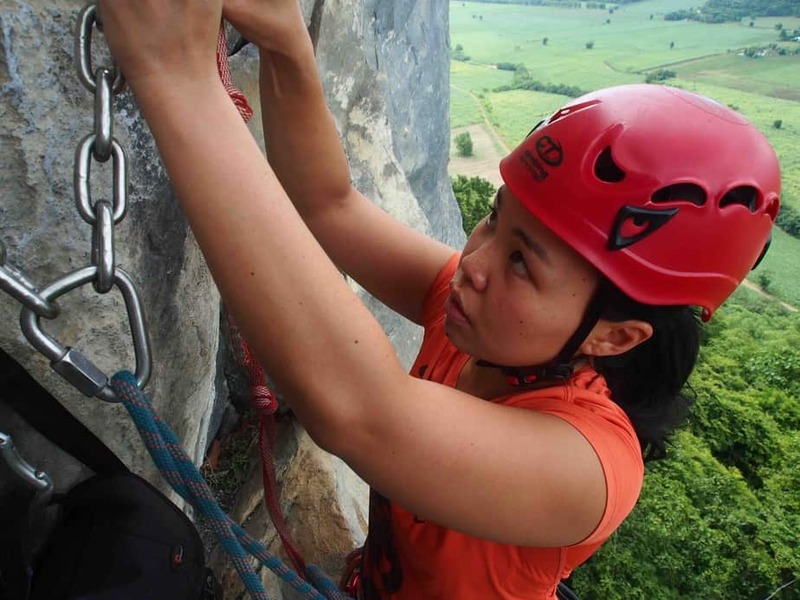 Or are you totally new to climbing and would like to start off your new passion in an outdoor climbing environment? This is an amazing experience in a part of Thailand that is both historic and full of natural beauty. 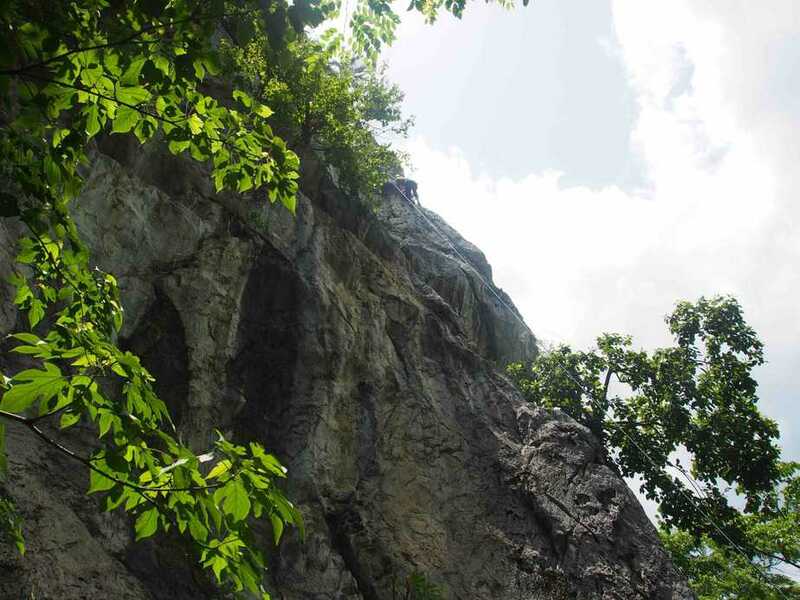 Located approximately two hours outside of Bangkok, Lopburi has some hidden spots for amazing climbing. 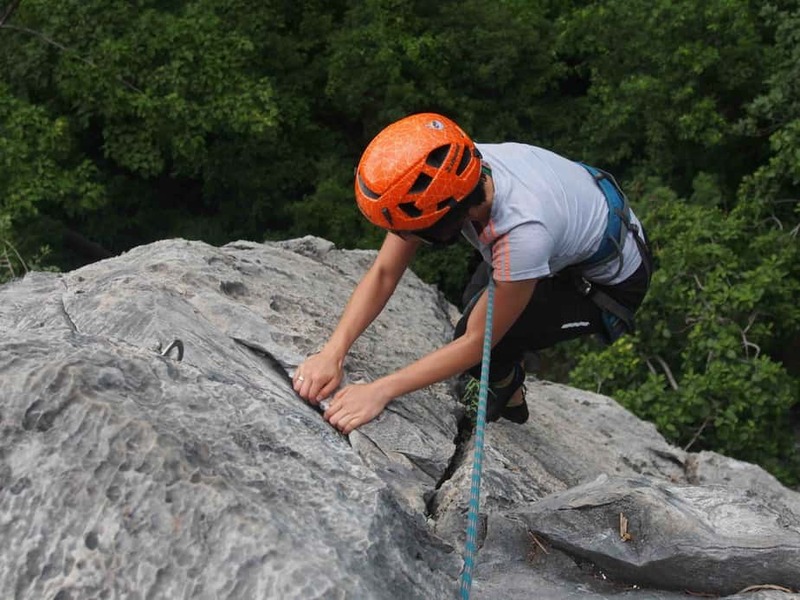 There are options for both sport and trad climbing with all grades to challenge you. 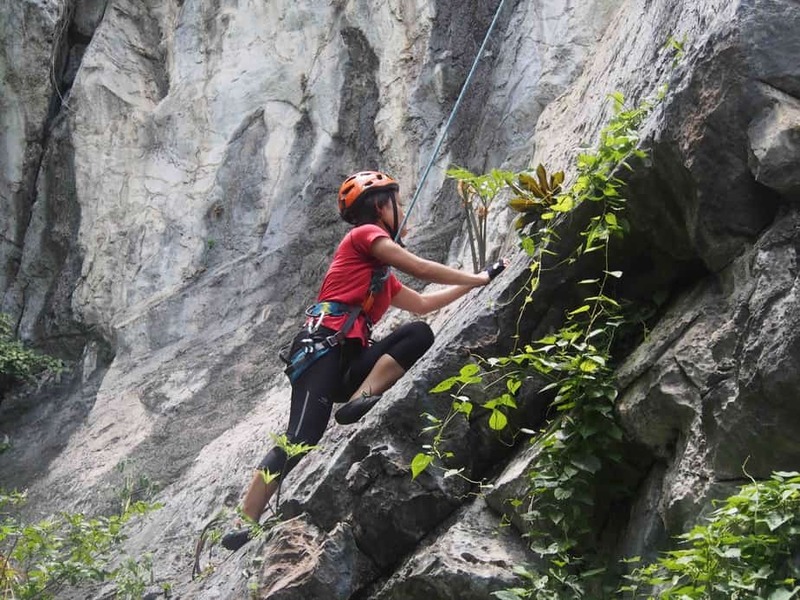 Rock Climbing in Thailand is becoming more and more popular, but this region is still undiscovered for its amazing climbs. 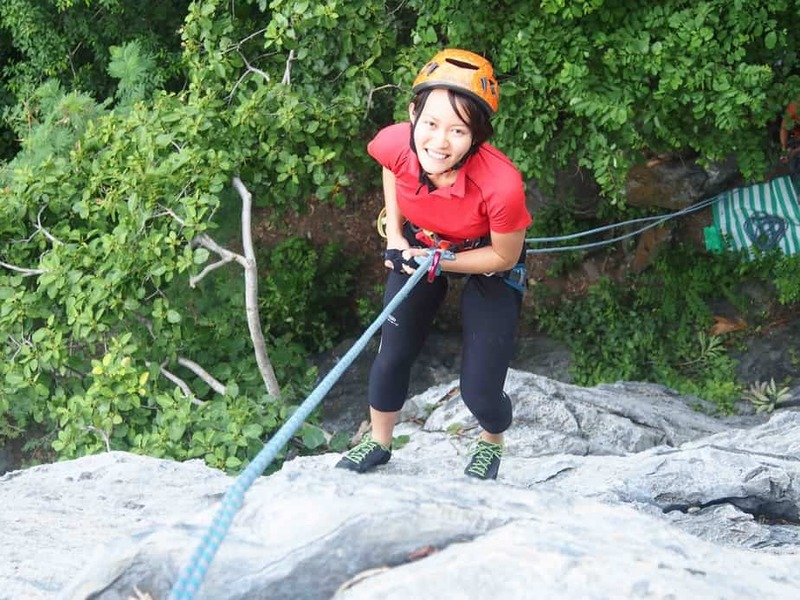 Come join Wildfire for rock climbing with an amazing view and a bit of nature appreciation! 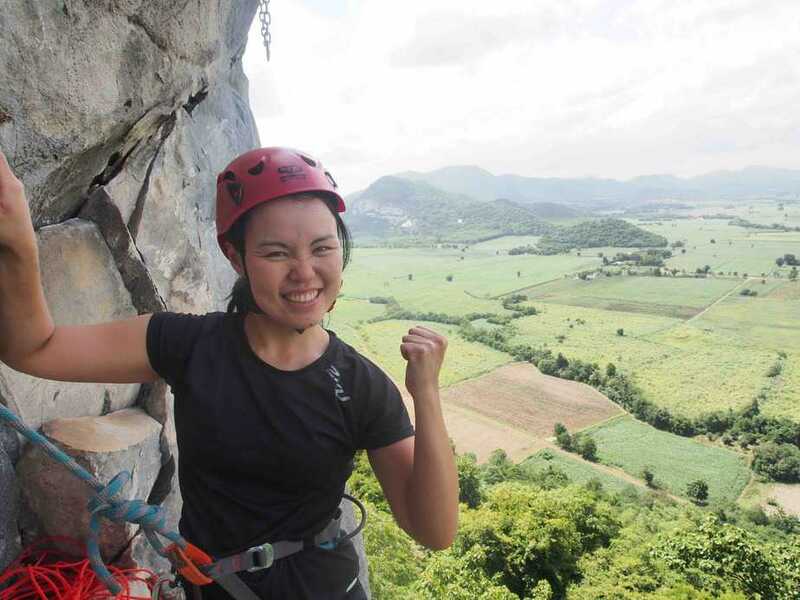 The Lopburi rock climbing trip duration will span 3 days, 3 nights in Lopburi, a province in Central Thailand approximately 150km north of Bangkok, home to Thailand’s biggest sunflower fields. Efficient movement on rock, how to use your feet more than you arms to save energy. 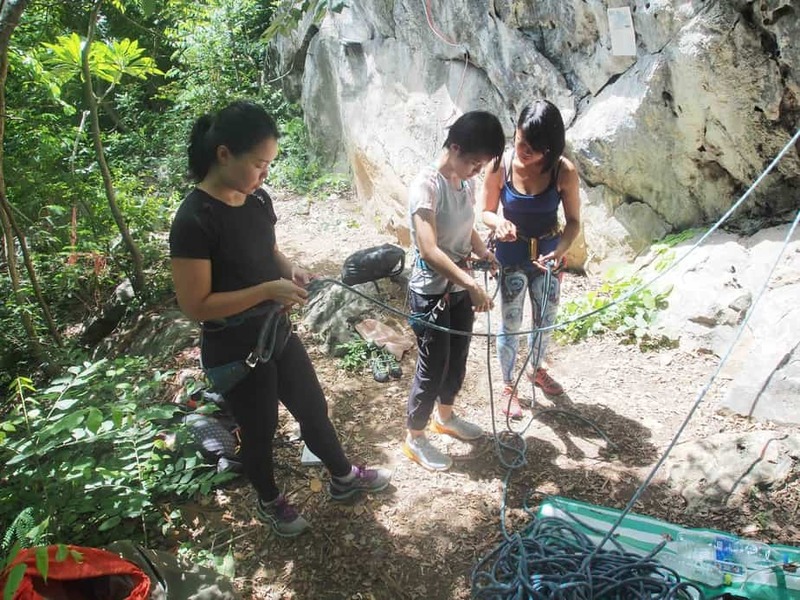 Key equipment used when climbing outside – rope, belay devices, quickdraws, safety carabiners and slings. 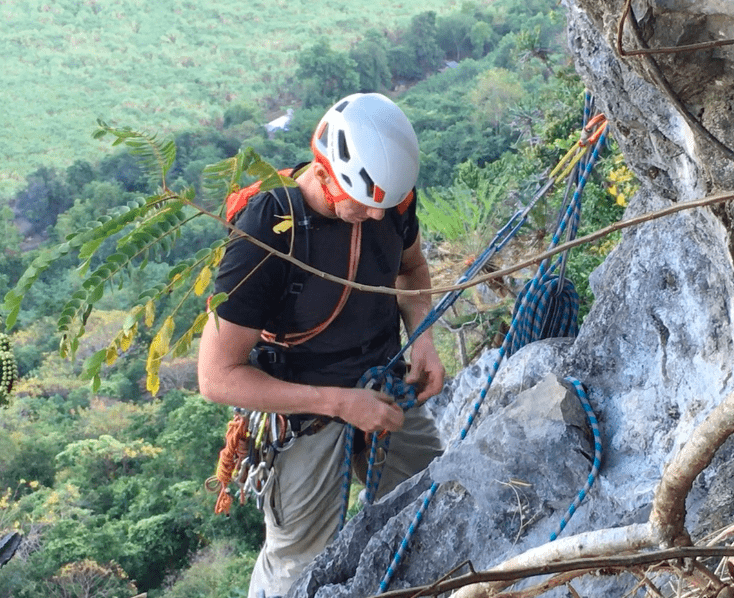 Top rope situations – belaying, top set ups and anchors. Different types of top set ups and their management. 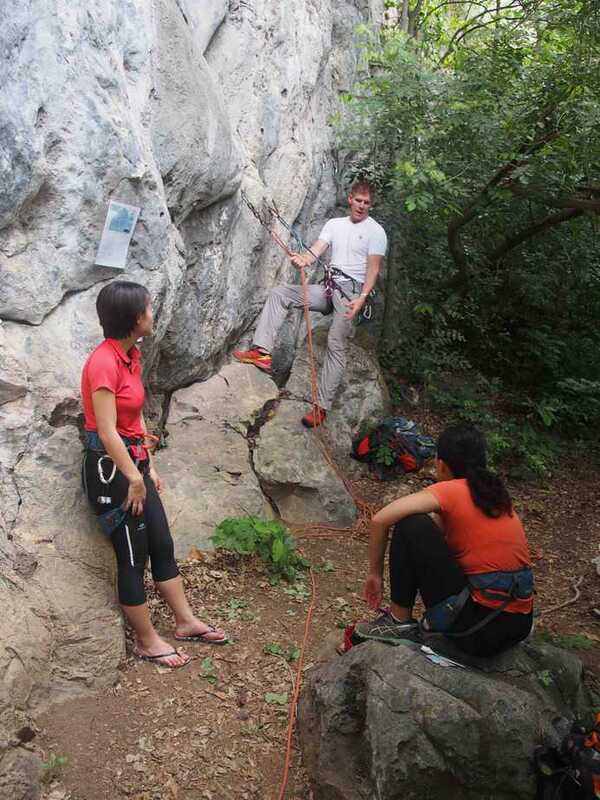 Advanced belay skills – where to stand, thinking ahead, when to give slack and when to minimise the amount of rope out. Using quickdraws and clipping safely, quickly and effectively. Finishing routes and getting back down – how to thread the top set ups safely and communicate with your partner effectively. Retreating off a route. 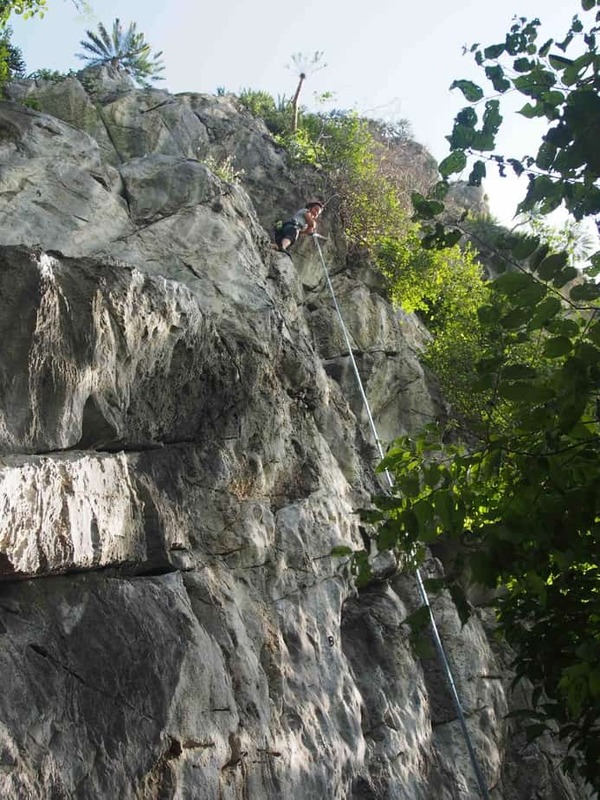 Abseiling and downclimbing. Crag awareness, the environment and potential hazards. 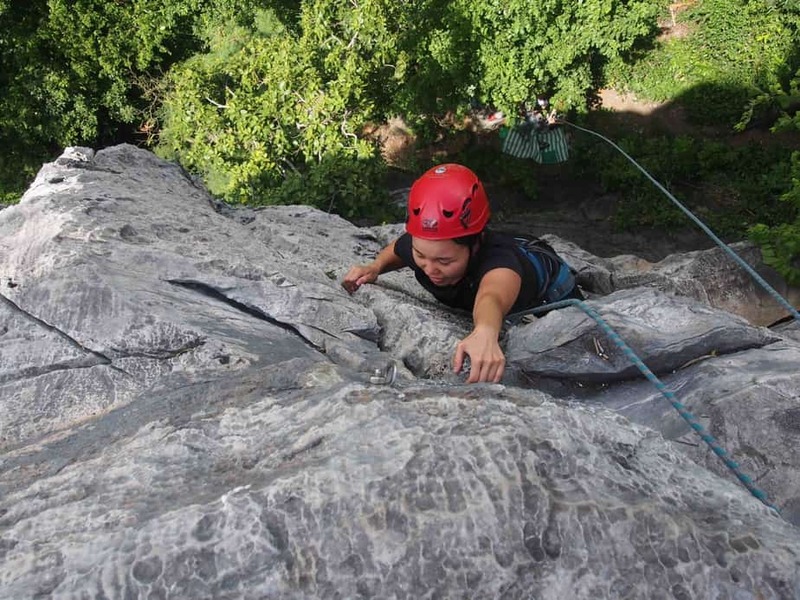 Day 2 – Rock Climbing at Lopburi. 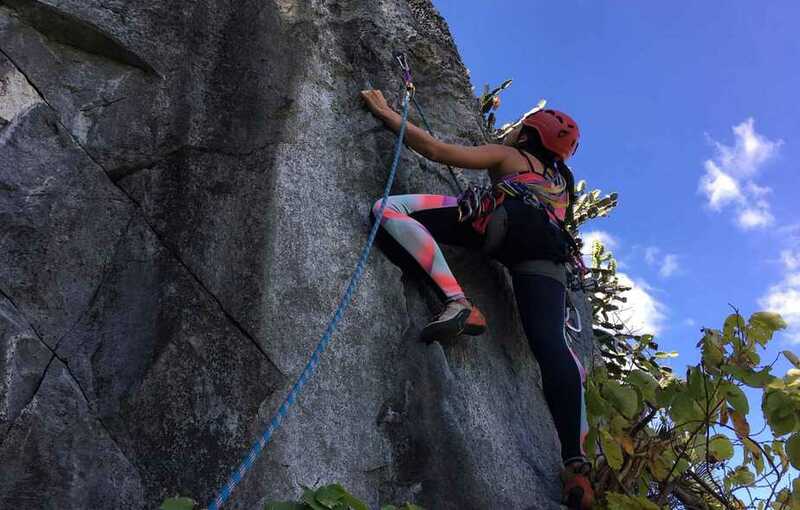 Learning knots, belay techniques and climbing techniques. Free and easy – Exploring the town of Lopburi, night markets, temples and ancient ruins! Day 3 – Stopover at an award winning cafe for an amazing breakfast. More Rock Climbing. 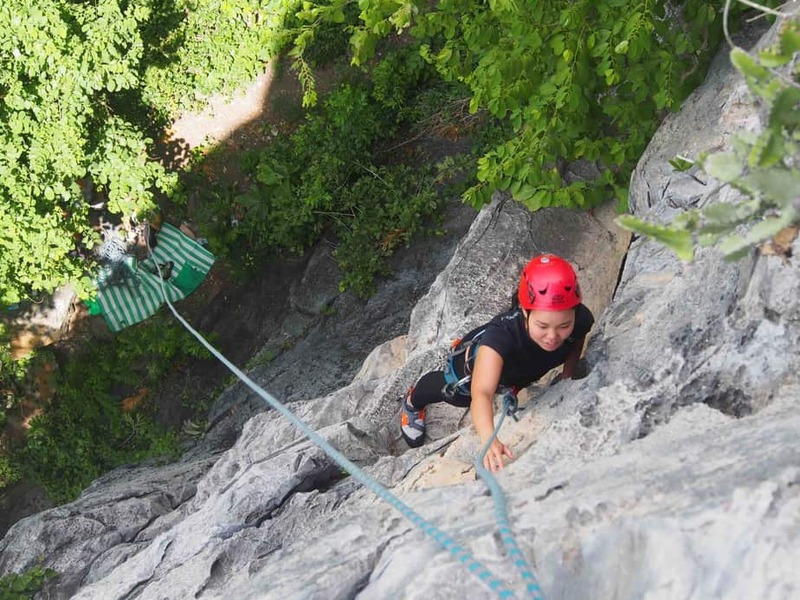 Abseiling, Topping out, and increased rock challenges! Day 4 Free and easy & Departure from Lopburi. *Due to time and safety, only certain routes will be set up. **Sunflower Season is only from November till January. We still operate trips to Lopburi year round though. 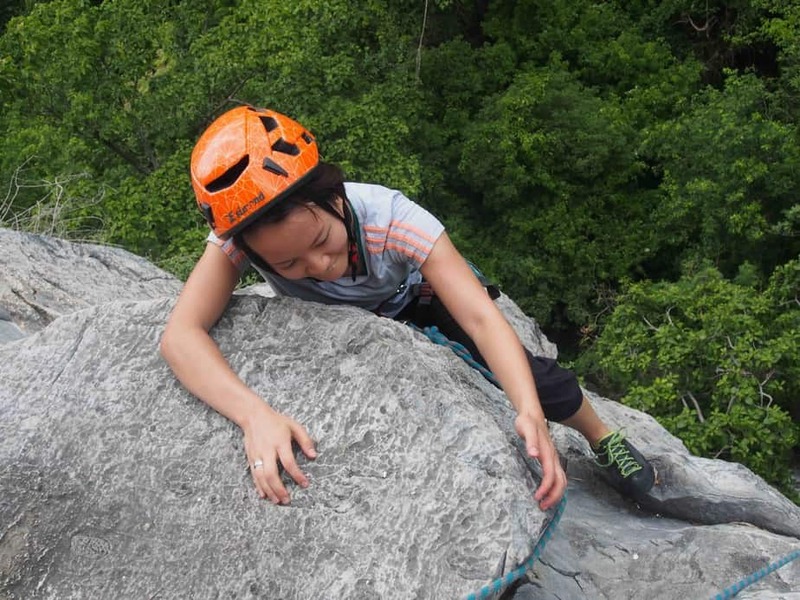 Day 1, we will be heading to the crag – Khao Jin Lae, a limestone climbing wall, where we will spend the day rock climbing. 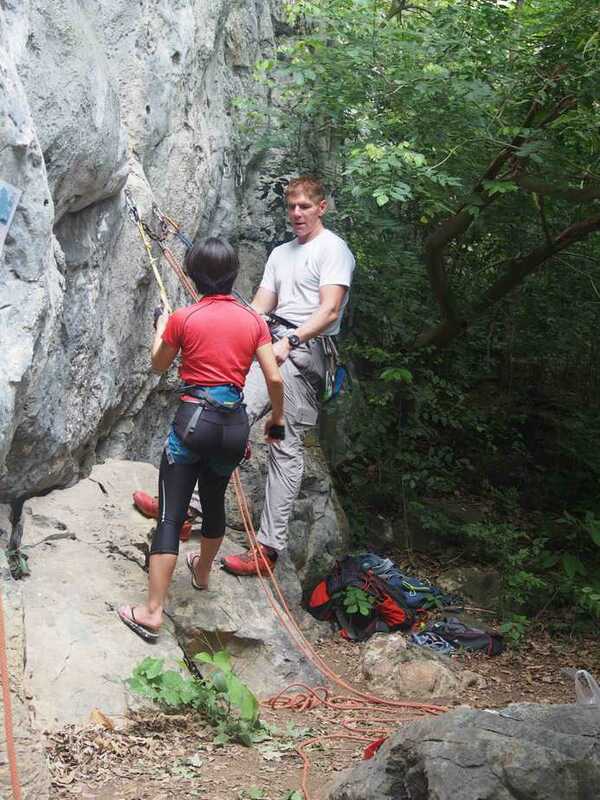 We will demonstrate and practice outdoor techniques of crag climbing. Hand and foothold techniques will be demonstrated to show how to be a more efficient climber on natural wall. Access to the climbing site is via a Buddhist temple at the base of the mountain. This add to the uniqueness of this climbing spot. After a day of climbing, we will head back to Lopburi for evening meal and to our accommodation at the local favorite spot of Noom’s Guesthouse. Day 2 Another day of climbing with a couple of special stopovers. We will start the day with an organic breakfast and award-winning coffee at a Lopburi local favorite café. Crowned the 2nd runner up in National Thailand Barista Championship, you will be sure to be spoilt for choices when it comes to coffee and tea selection. 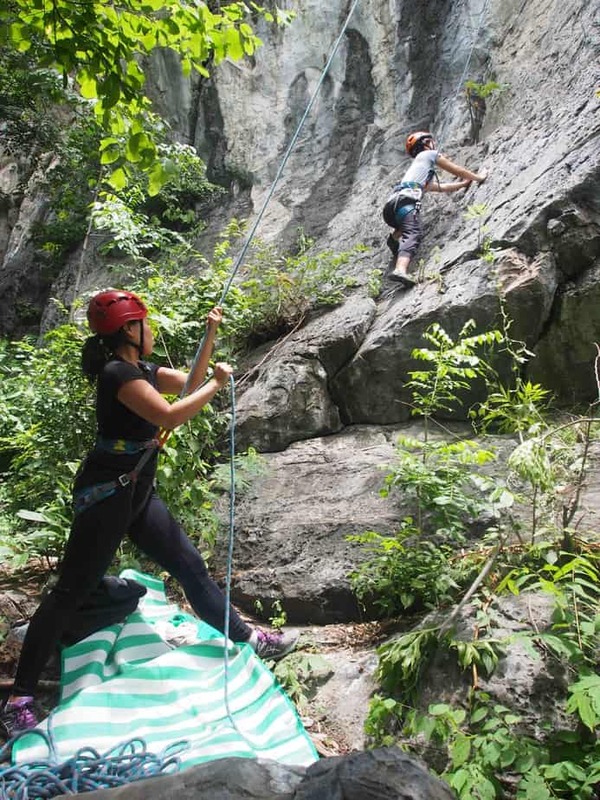 Then we will head to the crag for our second day of our climbing adventure! Day 2 climbing highlights. 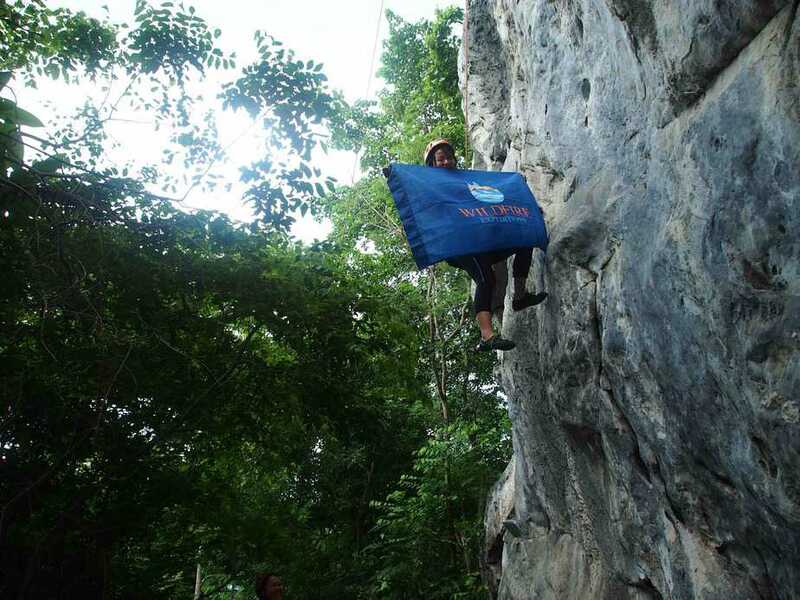 For those who are up to the challenge we will do a 35 meter level up climb, while being belayed from above. 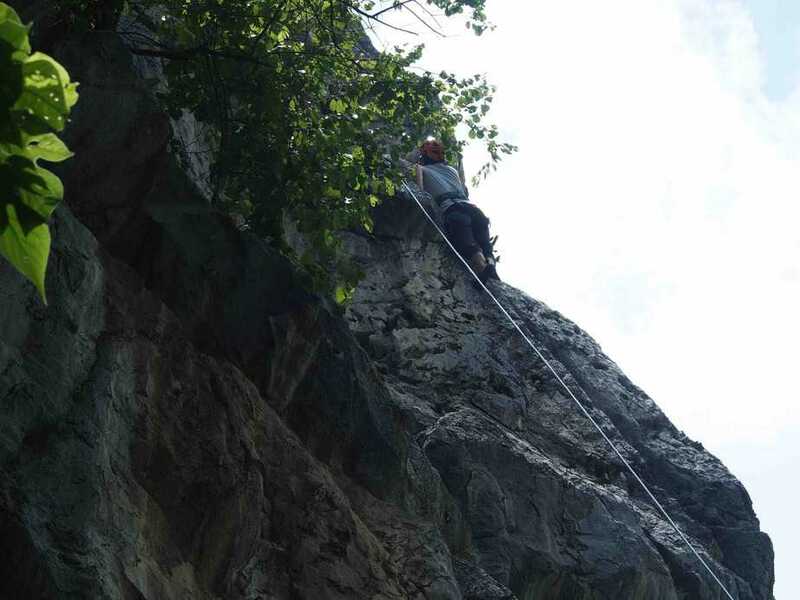 Followed by an abseil down to the base. 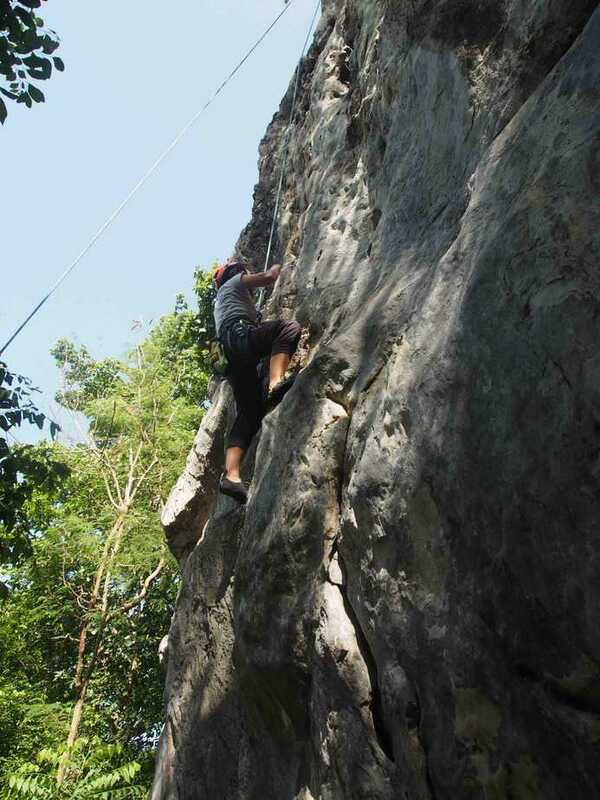 We will also continue to do various climbs in other locations around the climbing wall. Day 3, the last day, will be free and easy time for participants. Some recommended things to do include visiting the most famous Monkey Temple, Phra Prang Sam Yod, which is probably the biggest attraction that draws tourists to Lopburi. Just across the railway station, you may also wish to visit the Wat Phra Sri Ratana Mahatat, to admire the ruins , pagodas and Buddha statues that date back to the 12th century, to experience the tranquility that it has to offer amidst the old town of Lopburi. At 12:00pm, transport pick up will be arranged to bring participants back to Bangkok. ETA in Bangkok at 4pm. Participants are required to have a base level of physical fitness. 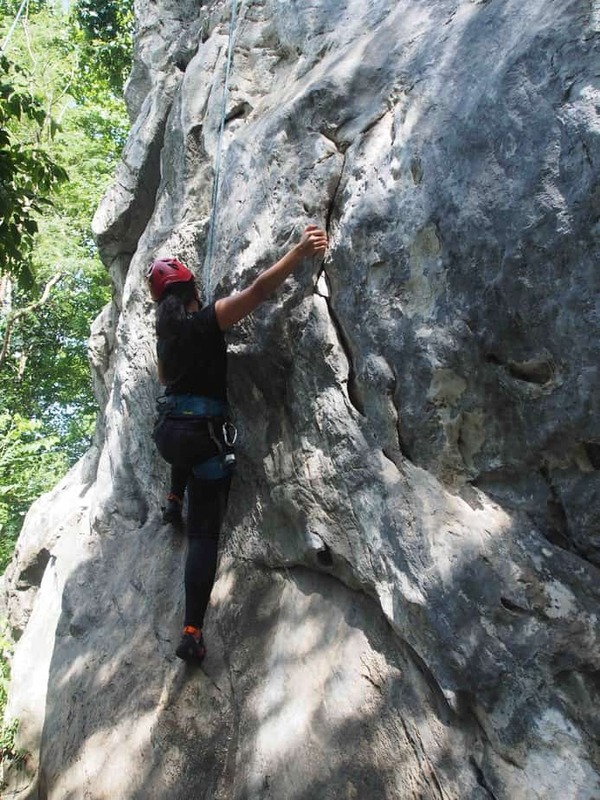 This trip is primarily for beginners to rock climbing, but if you have the skill and are already versed in lead climbing and trad climbing, you are most welcome to join as there is definitely a variety of routes there for you to attempt and conquer! A brief outline of the planned schedule is set out below. This is subject to change based on weather conditions and the physical condition of the group. Scoot Airways Departs SIN 6.00pm (Changi Airport). Arrives BKK 7:25pm (Suvarnabhumi Airport). Scoot Airways Departs BKK 5:35pm (Suvarnabhumi Airport). Arrives SIN 9:05pm (Changi Airport).